Track time and measure productivity against any and all modules in SuiteCRM, including support cases and project tasks. Have the ability to log against multiple modules on one timesheet and log against specific modules that more than one user is working on. Built in popup timer that lets you start, pause, and end calculating time. Call us at 1-855-50CRMNY (502-7669) for more information or a product demo. 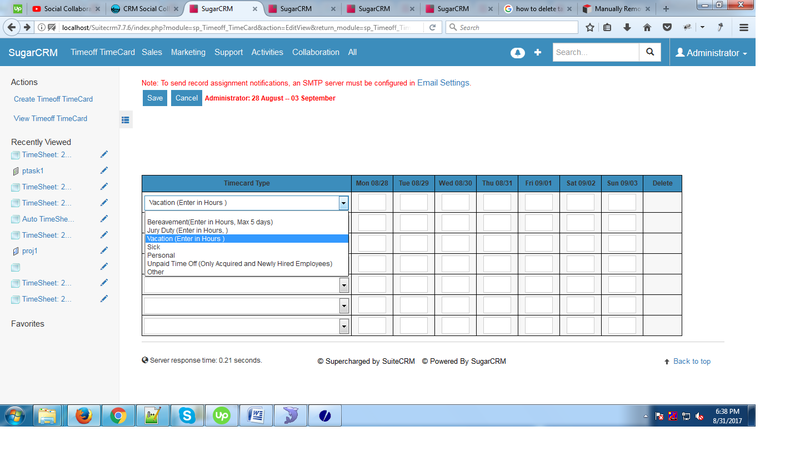 SuiteCRM Timesheets Ninja Enterprise is the easiest way to log time against any module in SugarCRM. This AddOn is a complete module that not only allows users to track time, but also get lists and graphic reports, track time off, and convert a timesheet to an invoice. Report, export, and invoice on the data collected in Timesheet Ninja Enterprise. Want to improve payroll accuracy and better understand how much time your spending on sales, project, and related CRM activities? This module makes tracking time against any module in SugarCRM or SuiteCRM a breeze and generates weekly time sheets for your staff! This Enterprise edition gives you everything in our Timesheet Ninja Product Plust a bunch of new features to track time more accurately with a visual timer, visual reports, and more! Want to track how much time you spent on a client project? Do it in seconds. All the features of our popular Timesheet Ninja tool. Popup Timer with duration, “Start”, “Pause”, and “End” buttons. Timer follows you to every page on CRM. Precise Time tracking capability that instantly records in timesheet record. Dashlet that tells you if your timer is still running. 30-minute warning that tells you your timer is running. The ability to log time in a weekly view or daily view. Have multiple users log time against one task, without having the need to duplicating tasks. Log against all modules on one screen. Track Attendance - Utilize your time sheet interface to track attendance using our Time Off Module. 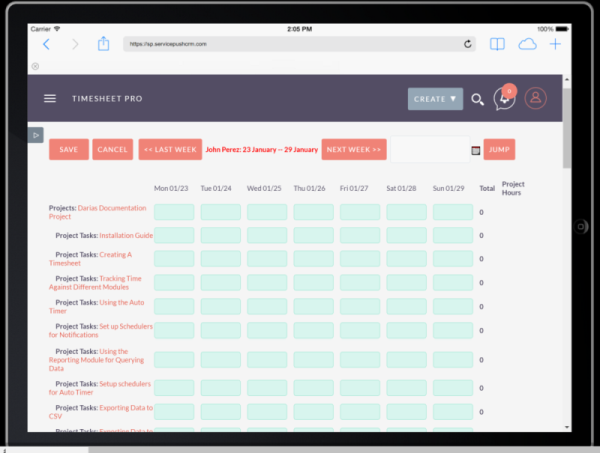 Using a Timesheet tool adds value back into into your business in dollars. Here are some of the metrics that can impact your business and have been achieved by our clients. 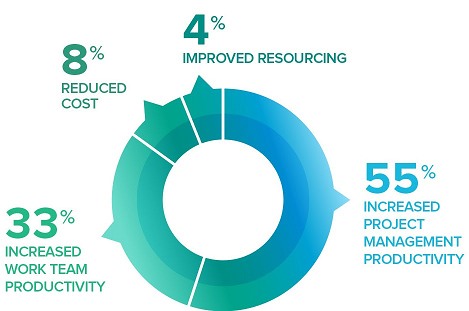 $150,000 in yearly savings due to 3% reduction in payroll errors in over paying freelancers and contractors. Timesheet Ninja Enterprise extends the function of the Timesheet Ninja plugin by giving your business a more in-depth understanding of how much time is being spent on tasks, support cases, and other modules in CRM. The Enterprise edition visually gives you better time tracking and reporting tools making it easier to track activities in SuiteCRM. Including a new visual time tracking tool that gives you realtime time tracking, and you can pause and stop tasks in real time as you work on them. Plus, get over 20 visual reports to visualize your timesheet data, and much more. 30 minute warning that tells you your timer is running. Mechanism that shuts the timer off in 15 minutes if the user does not click continue at the 30 minute prompt. Have multiple users logtime against one task, without having the need to duplicating tasks.